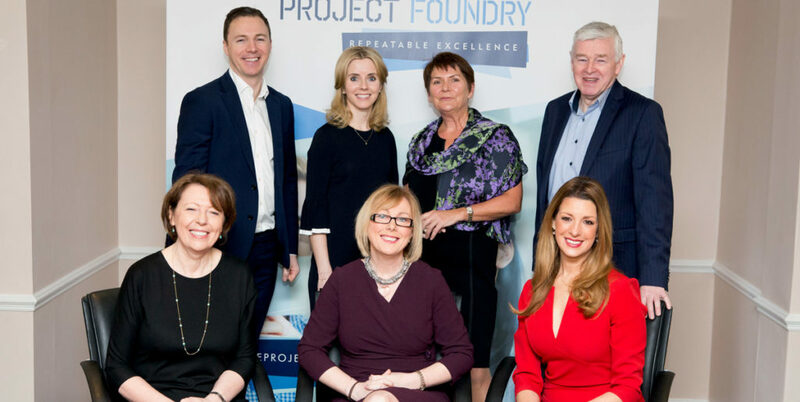 For the second consecutive year The Project Foundry hosted an International Women’s Day event; this year offering fresh insights on ‘Women Leading Progress – What it takes to be inclusive’. The event was held on Thursday 8th March in The Ballsbridge Hotel. International Communications Strategist and Former Emmy-winning CNN Anchor, Gina London, hosted a conversation with Regina Doherty TD – Minister for Employment Affairs and Social Protection, Helen O’Dea – IT Executive, Roseann Heavey – President of Network Ireland and Geraldine Roche – Director at The Project Foundry. Helen O’Dea began by speaking speaking about prevailing gender inequalities in the workplace. Helen acknowledged that we’re beginning to see more women promoted to senior positions but there is still significant work to be done. “If you want a different perspective, you really need a balance” she said. Helen also called for the introduction of mandatory gender pay gap reporting, as has been introduced in the UK for companies with over 250 employees. Minister Regina Doherty spoke of the need to break the confidence barrier that affects young women and the differences she sees in her own children. From an early age girls must be empowered to believe they can achieve what they want to – something boys seem born with. Minister Doherty said this same confidence is what will be required to bring more women into the political arena. I sit around a table and there’s only 3 women out of 20- the only way to change that is giving women the confidence to get into politics. Roseann Heavey spoke of the important role mentoring can play in instilling confidence and described the influence mentors have had on her career and personal development. Roseann now mentors a group of employees in her company and encourages other organisations to make use of the practice. 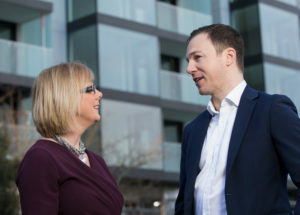 When asked about concerns for the future, Geraldine Roche, Director at The Project Foundry, raised concerns about ageism in employment and the serious issue of pension gap facing women who have taken time out to raise family. The day closed with the panel speaking about the importance of using and strengthening our networks. We can be influencers and should acknowledge the influence of those around us!